The PSP-3000 box was spotted on Amazon showing off what looks like PlayStation Network access. Although you can currently access the PlayStation Store using Remote Play through your PS3, this is the first time we’ve seen shots of accessing the PlayStation Store directly from the PSP. Even the PlayStation Network Logo is included on the box, which further suggests PSN connectivity. 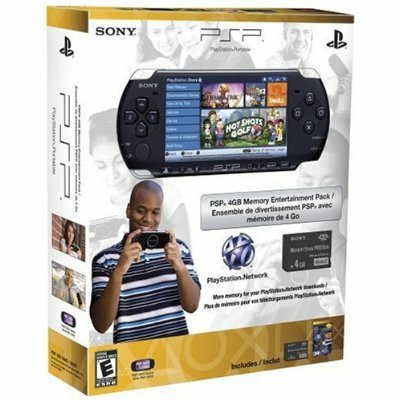 Rumors suggest that a future PSP Firmware update, version 5.00, is said to include PSN Connectivity. We speculate that an official announcement will be made at the Tokyo Game Show. It has been confirmed that the next PSP Firmware Version is 4.20. This could be photoshoped by anyone though??? Why would they put something photoshoped up on amazon?